The game was ran using Power Levels. 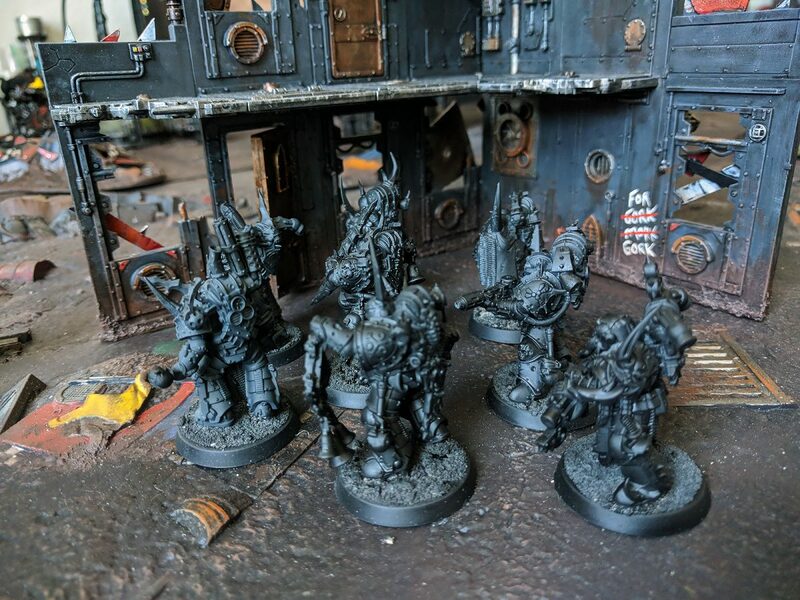 We used the Open War cards to decide what the game type would be. 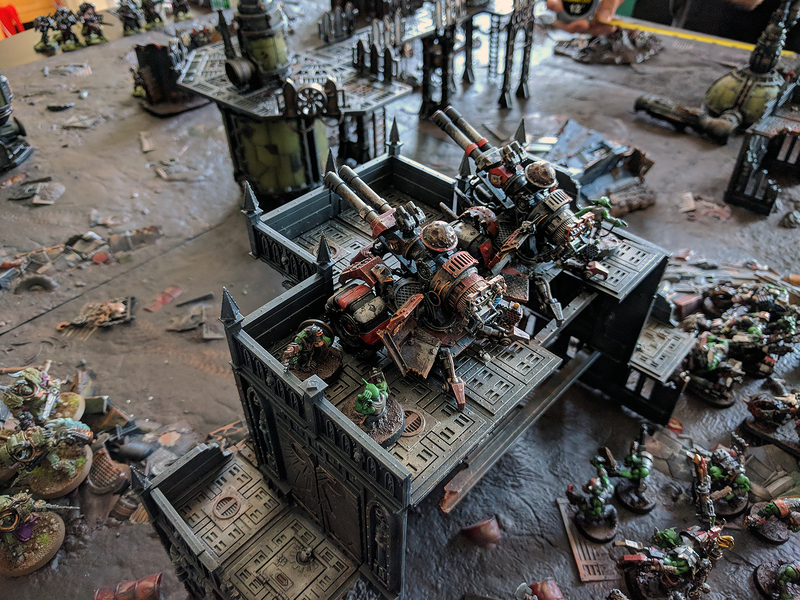 highest total wins the battle (even if their own army has been wiped out!). 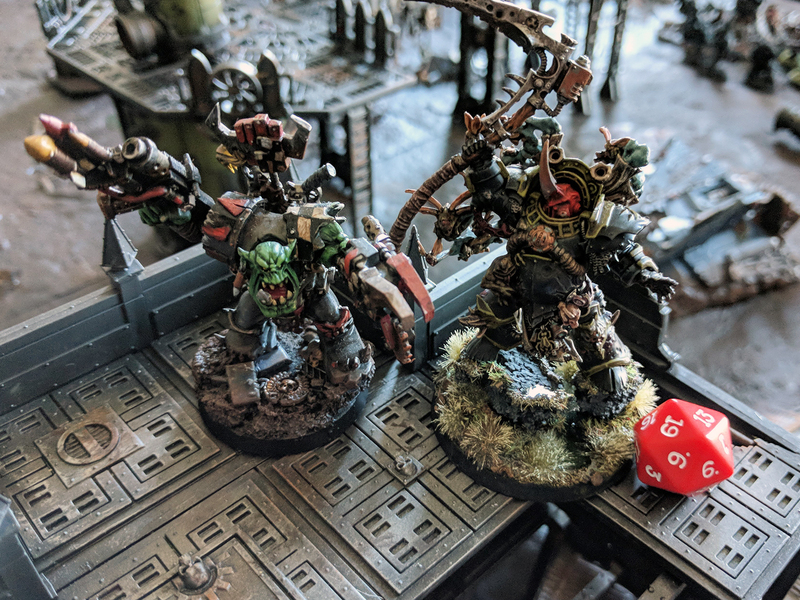 The Twist: Grudge Match was drawn. 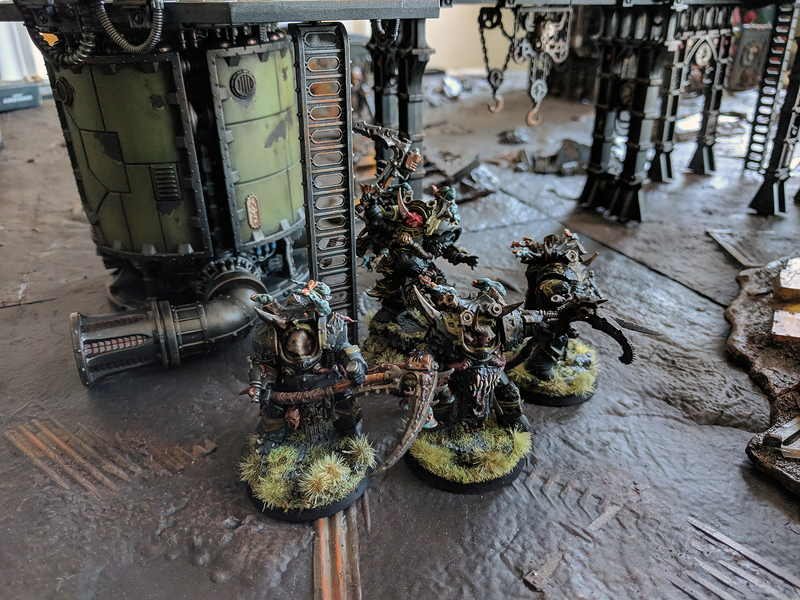 Units do not have to take Morale tests in this battle. 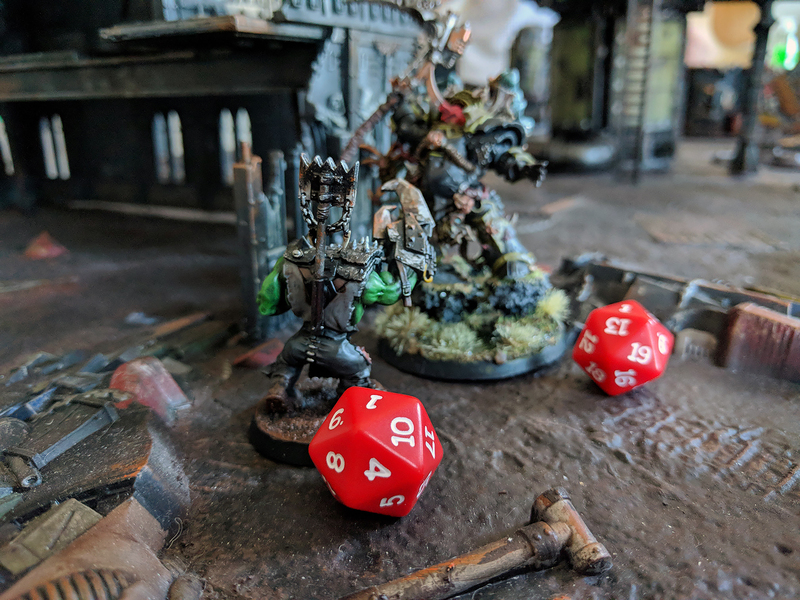 The Ruse: No ruse was used since both teams were equal in PL. 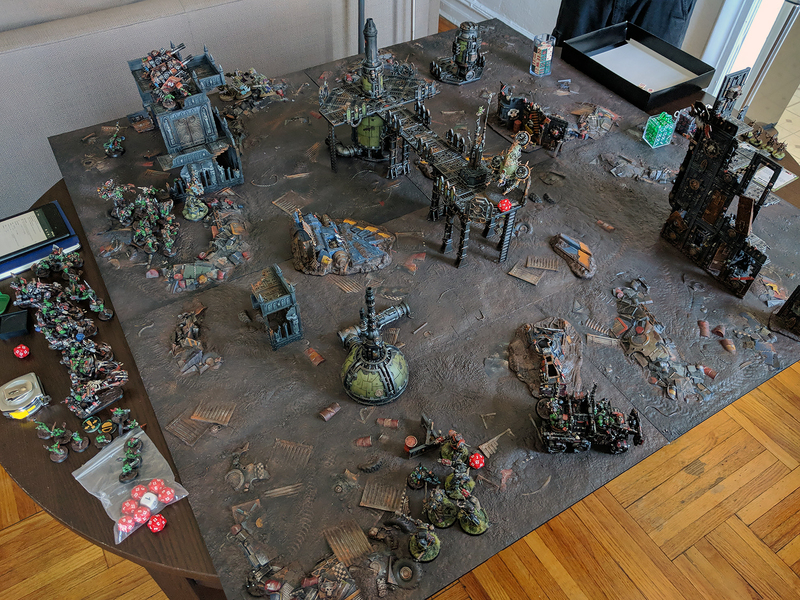 Using the Open War cards, the teams deployed using the Hammer and Anvil layout on a 4×4 board. The Boyz ready to fight! 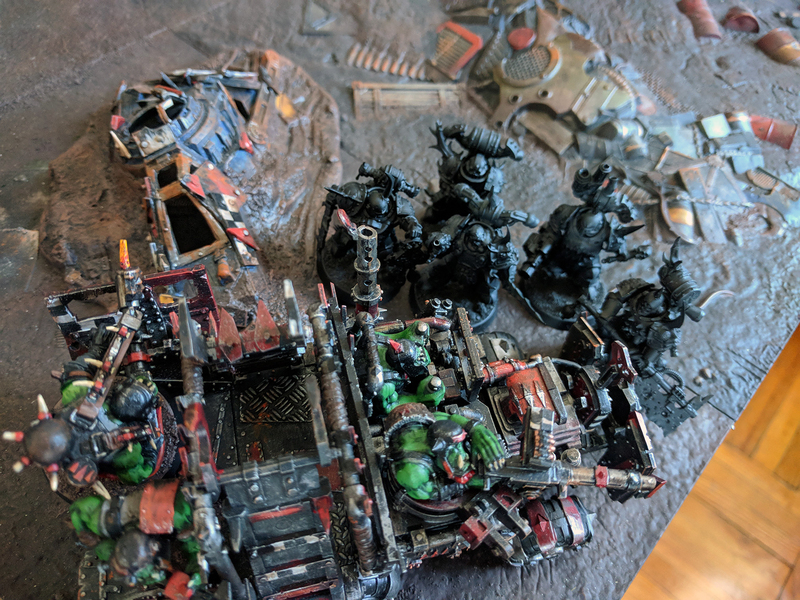 Bikers ready to roll out! 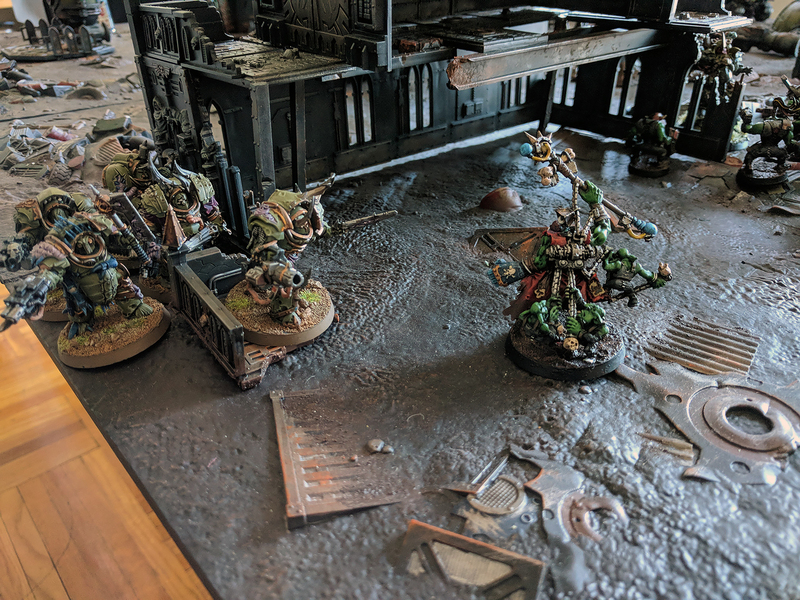 Where’d those grots run off to? 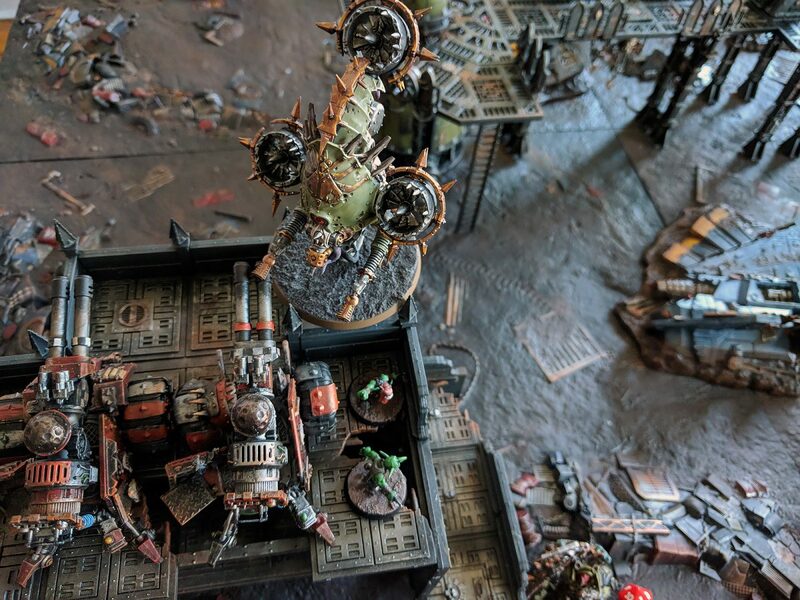 The Death Guard went first and saw Typhus and all his Terminators arrived from deep orbit and landed on the Ork planet. 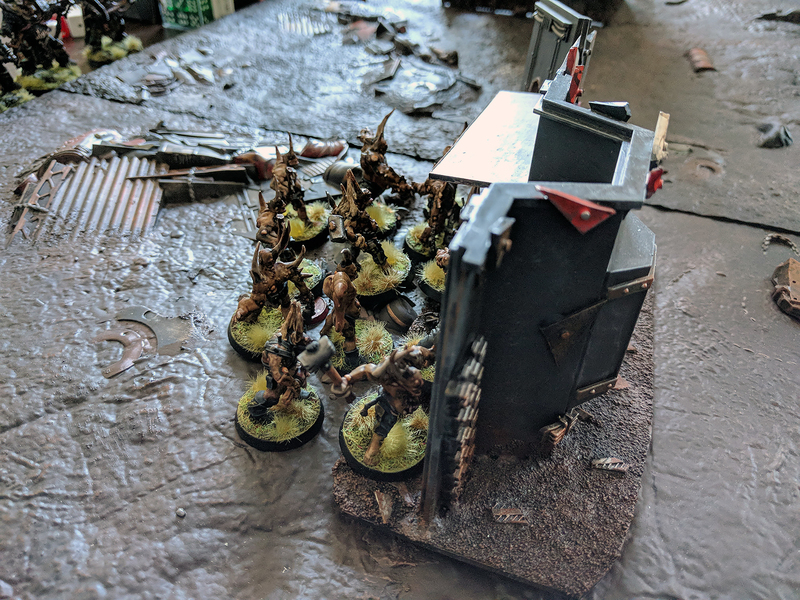 They landed 9 inches away from the bulk of the horde. 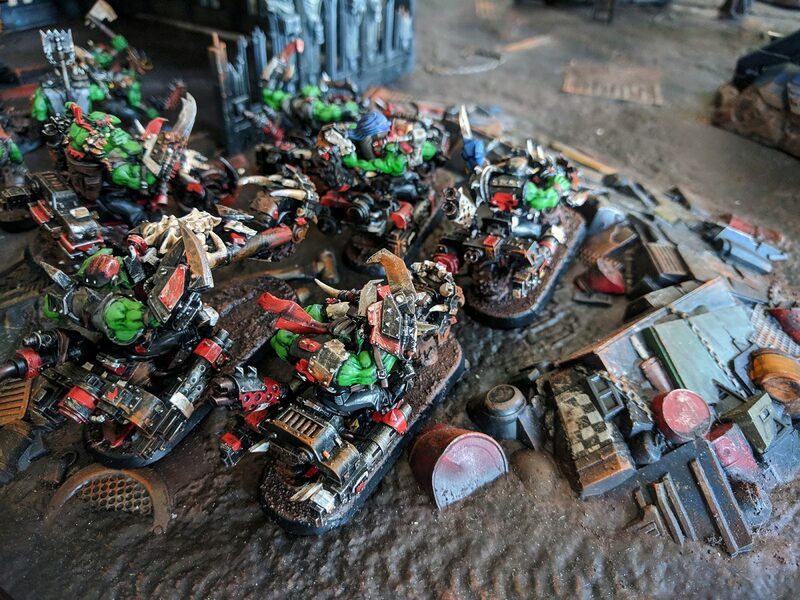 Typhus and the Deathshroud charged first into the unit of Nob Bikers and tore up the entire mob with their blades. 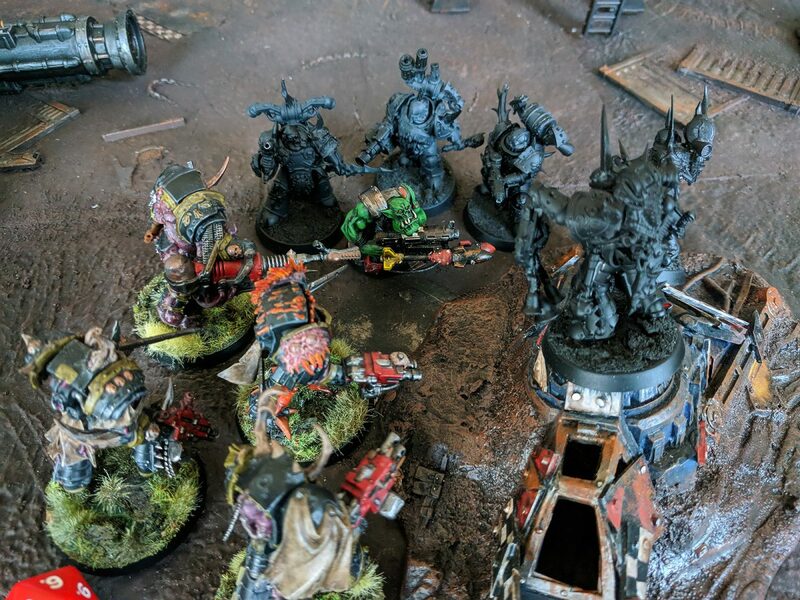 A unit of Blightlord Terminators focus fired an Ork trukk and saw it reduced to rubble. 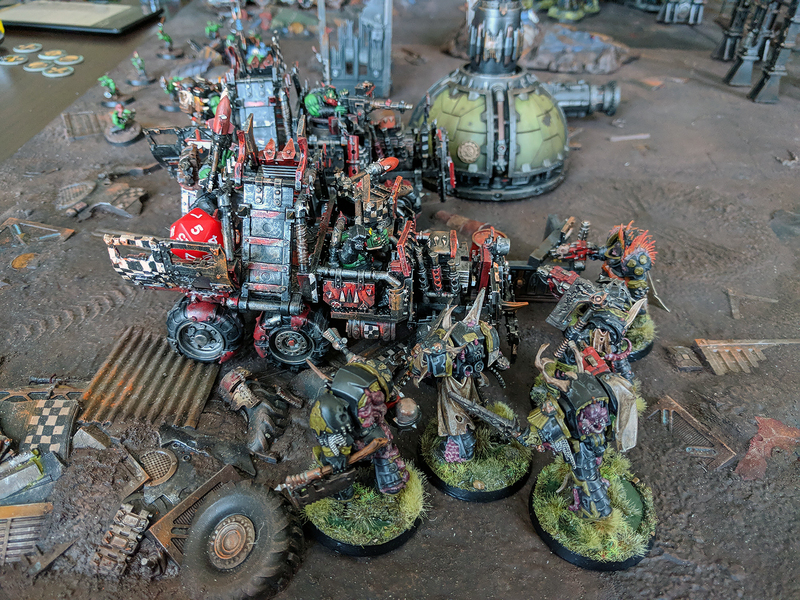 On their turn, the unit of Tankbustas that were in the trukk retreated into the other Trukk with the Burnas to drive away. 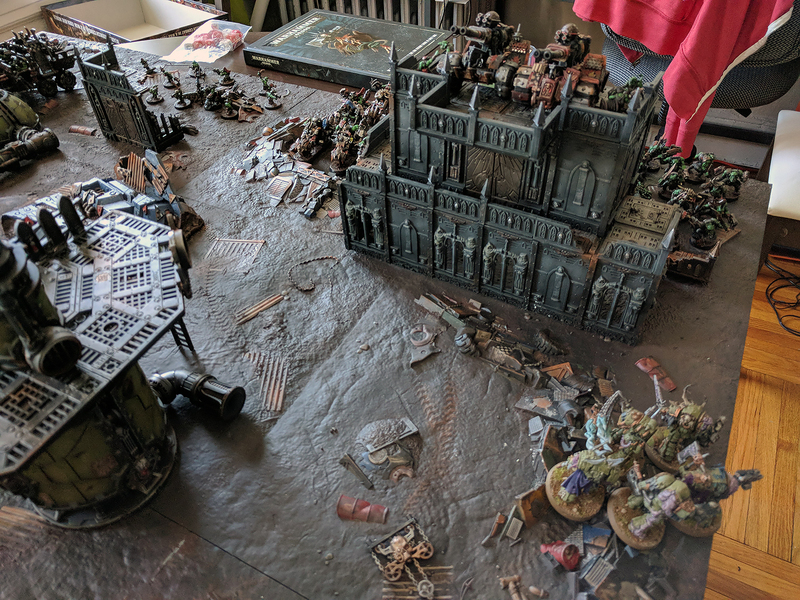 The Death Guard couldn’t wait to fight back and spent 2CP to fight before the Warboss could strike. 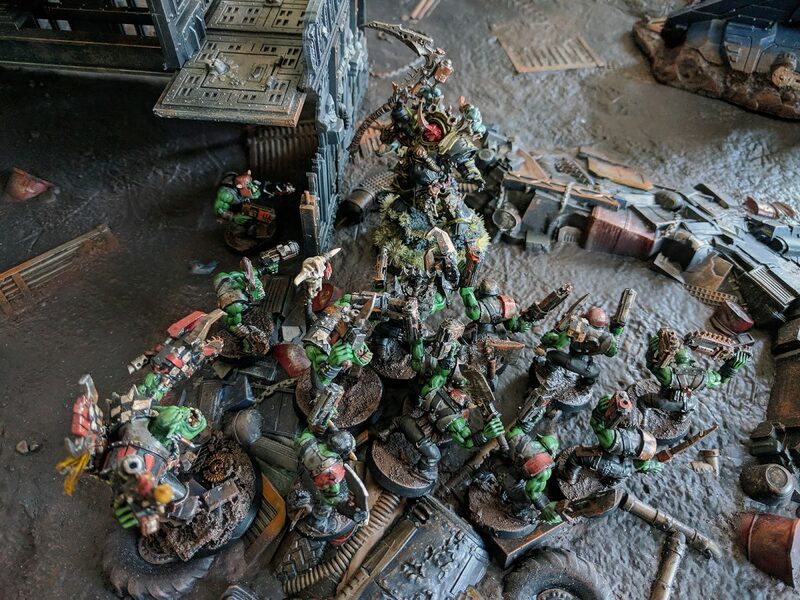 The Deathshroud’s sweeping blades took out 10 more boyz! 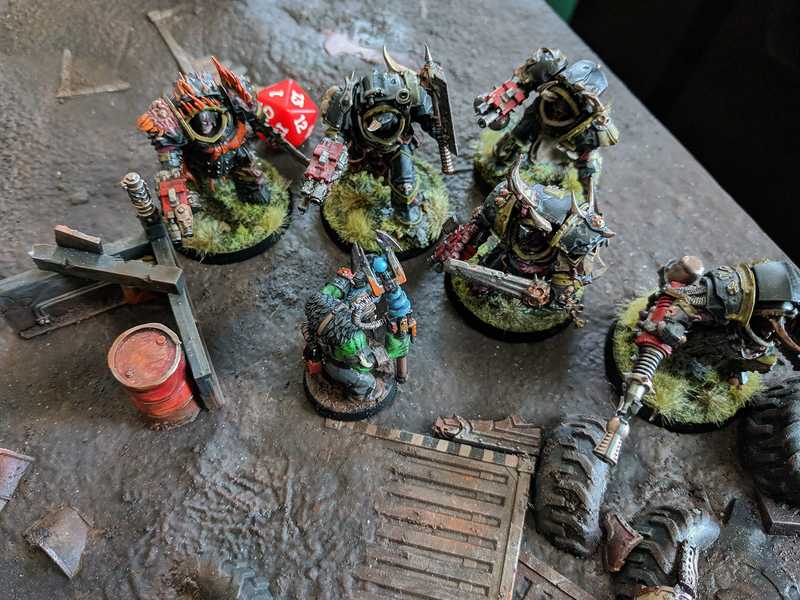 Angered at his mob shrinking, the Warboss strikes back killing the last two Deathshroud Terminators. 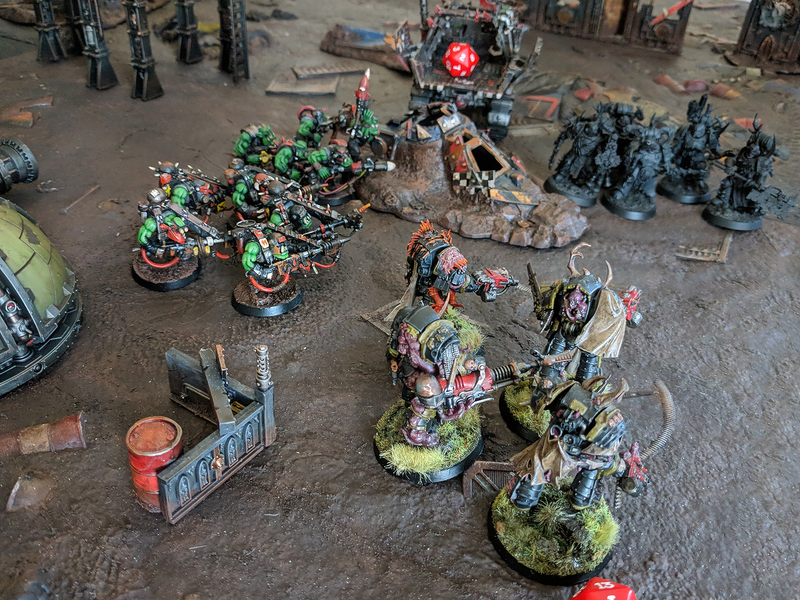 On the next turn, Typhus angered by the loss of his bodyguards struck out and cut the head off the Warboss. 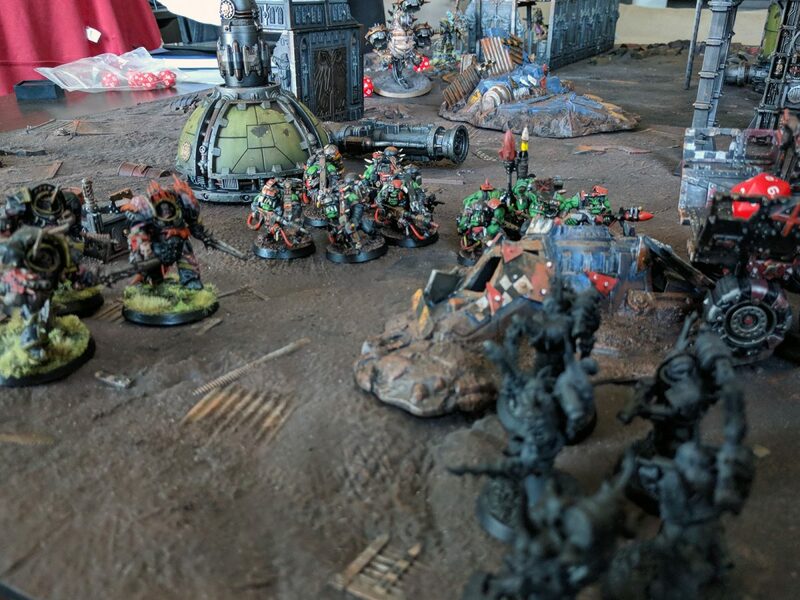 The last of the Orks are on the run but tried to take a few Marines with them. 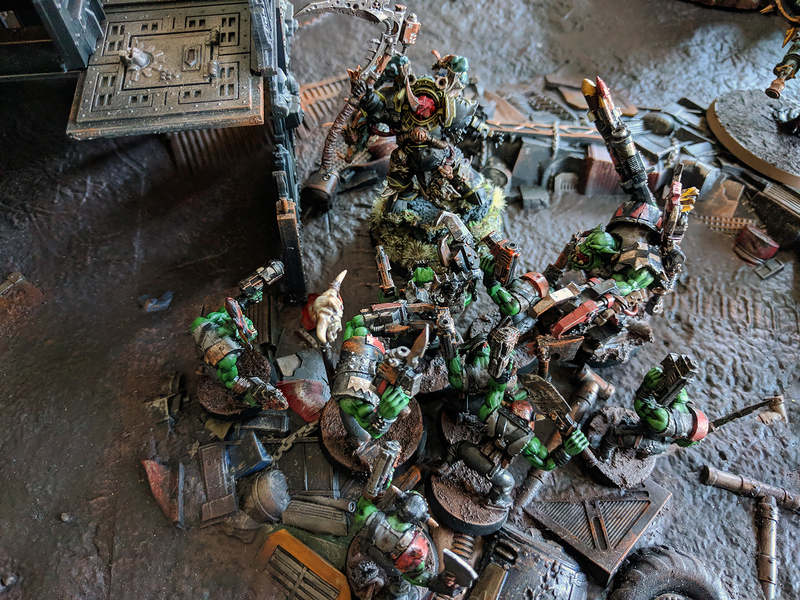 The last Ork standing was one Tankbusta who saw himself surrounded by the Plague Marines and Terminators. 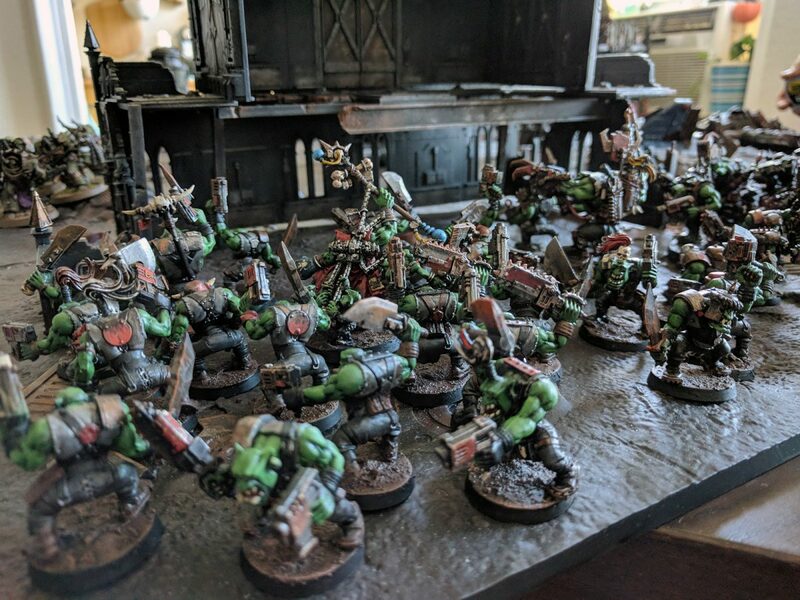 His screams of Waaaagh faded . 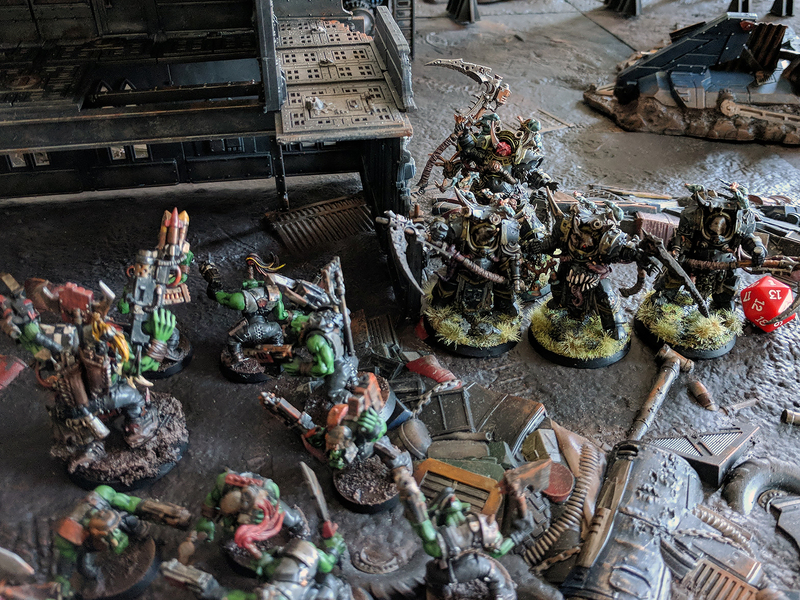 . .
After only 3 rounds, the Death Guard’s revenge was fully realized with the last of the Greenskin horde wiped from the junkyard planet. 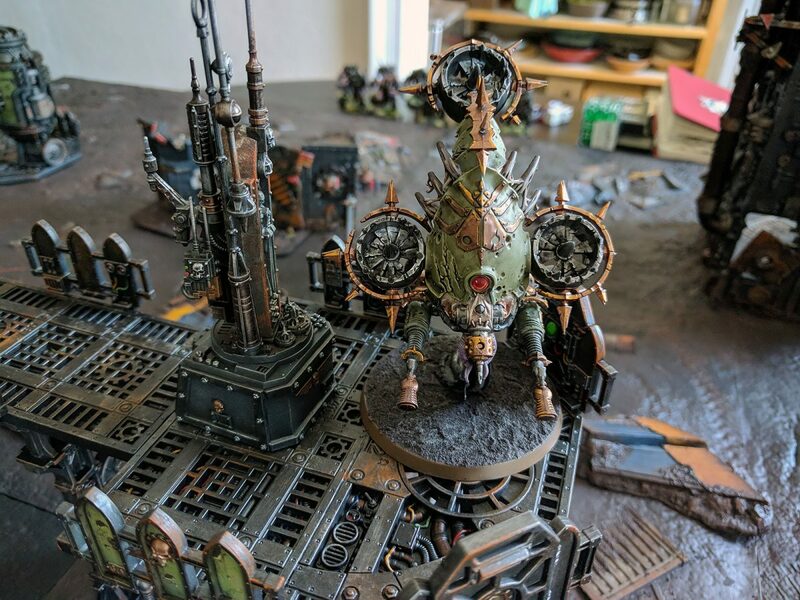 Grandfather Nurgle is pleased.